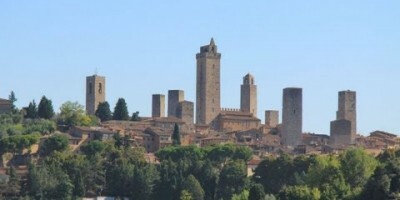 San Gimignano is also known as The Medieval Manhattan due to its magnificent skyline. This walled city is in the province of Siena and is located about half way between Florence and Siena. Famous for its towers, Romanesque architecture and Vernacci wine, San Gimignano was recognized as a UNESCO World Heritage Site since 1990.